Surely if there was a blood test to determine whether or not a woman had breast cancer many women could add years to their lives and in some cases their lives may be saved. But women who want to know if they have cancer shouldn’t fret any longer, because help is on the way and now there’s a blood test called the CellSearch test to predict breast cancer. “It is currently available for metastatic breast cancer, but not for non-metastatic except in a research study setting,” said Dr. Anthony Lucci, professor of surgical oncology at the University of Texas, Ander-son Cancer Center in Houston. 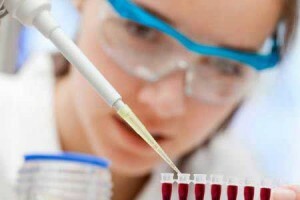 “Hopefully it will be known which patients can benefit from this test in the near future and then it would be widely available.” Lucci and his colleagues observed 302 patients with operable breast cancer and examined them with a basic blood test and identified circulating tumor cells in 24 percent of the study group. The findings entitled “Circulating tumor cells in non-metastatic breast cancer: a prospective study” was published in June’s issue of Lancet Oncology. Their previous research explored circulating tumor cells in the blood of patients who had metastatic breast cancer or breast cancer that has spread. The cells are shed by tumors and are thought to cause cancer if they latch on to another area of the body. Further analysis revealed the presence of the cells predicted disease progression and the patient’s overall survival rate. “It is a good thing to be able to predict disease progression but we need to know which drugs can kill these cells and improve outcome before we start treating every patient who has circulating tumor cells, Lucci said. “Other factors like lymph node status and tumor size also predict outcome, but there’s no other blood tests that do. Another study published in the Proceedings of the National Academy of Sciences found fetal exposure to BPA, a plastic additive found in some food pack-aging was dangerous. Monkeys exposed as fetuses to BPA – bis phenol A – appeared to have an increased risk of breast cancer. Primates are more similar to humans reinforces the notion that BPA could contribute to breast cancer in women.